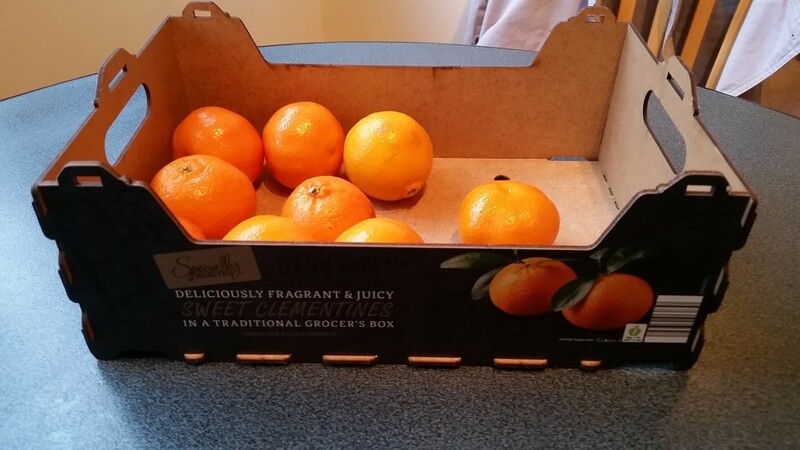 I must take issue with supermarket group Herr Aldi & Co, the (“it’s amazing how much I saved”) toast of all Perfect Shire dinner parties these days; despite the perfectly passable quality of the clementines, therein, this “traditional grocer’s box” bears no resemblance to the pale and splintery stapled wooden ‘slatted’ boxes which characterised such fruit and veg sellers’ receptacles of yore. Aldi’s ‘traditional’ Christmas ‘Orange’ Day Parade? Indeed, I would go so far as to say that far from being ‘traditional’, this is a very ‘modern’ form of packaging indeed, based on compressed mdf-like material, perhaps even with the hint of hygenic ‘wipe clean’ plasticisers added for good measure, but poor authenticity? My traditional Christmas (or ‘Festive’, as per the label on the box) now ruined. Bah humbug Aldi!!! 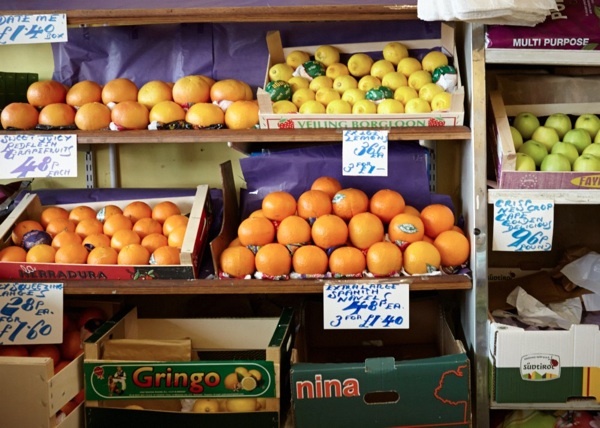 See also The Guardian’s 2006 “Survey points to unsafe levels of pesticide residues in food” and an interesting 2015 (United States) alert site – ‘Food Sentry‘ – documenting regular Imazalil contamination. There’s also a routine Daily Mail ‘shock horror’ type story from 2012 which mentions Imazalil and other fungicides, too. 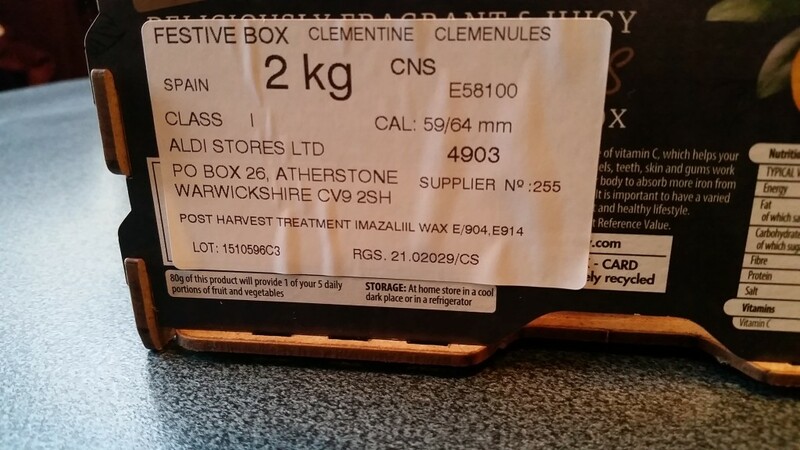 This entry was posted in Food, rural life, Uncategorized, whining and dining and tagged Aldi, Christmas, clementines, Festive, home counties on November 29, 2015 by nick.